Dr. Aziz Allaithy, M.S., Ph.D., ACSM is a Clinical Exercise Physiologist specializing in therapeutic and pain management, medical weight loss and management, fitness and body composition, and metabolic and stress testing. Dr. Aziz holds a certification from the American College of Sports Medicine and is currently a Preventive Medicine Consultant with the Red Crescent Clinic of Tampa Bay in Florida. He has also held positions at numerous universities, teaching biology, nutrition & diet therapy, and physiology. 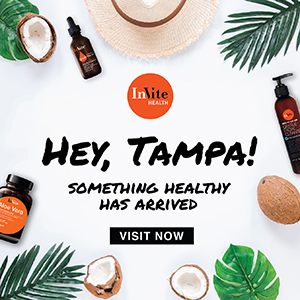 Dr. Aziz brings almost 20 years of exercise and healthcare experience to the InVite® Health team, as our Tampa-based healthcare professional. 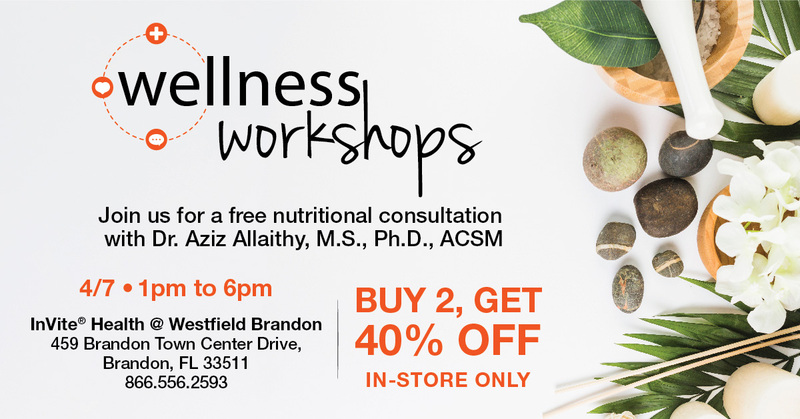 Visit Dr. Aziz at our Tampa retail location, located in the Westfield Brandon Mall on Sunday, April 7th from 1pm-6pm for free nutritional consultations. Dr. Aziz is currently developing health screenings and diabetes testing at our Tampa location. Health screenings will include Body Mass Index, Body Composition, Cholesterol, Diabetic Screening, and Blood Pressure screenings. Stay tuned for more information! Stay tuned for more information! 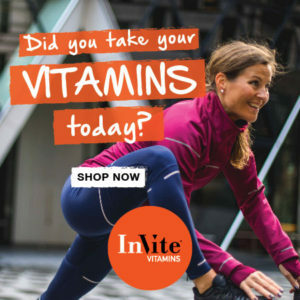 InVite® Health recognizes that the vitamin and supplement selection process can be confusing and overwhelming. But it does not have to be. 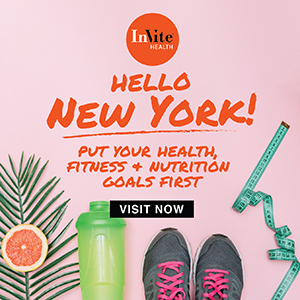 At InVite® Health, we provide a simplified luxury experience by offering superior quality products, educational information and resources, and a team of healthcare experts in a beautifully designed boutique environment with products at the very best value. Questions for Dr. Aziz? Leave us a comment below to join in the discussion.